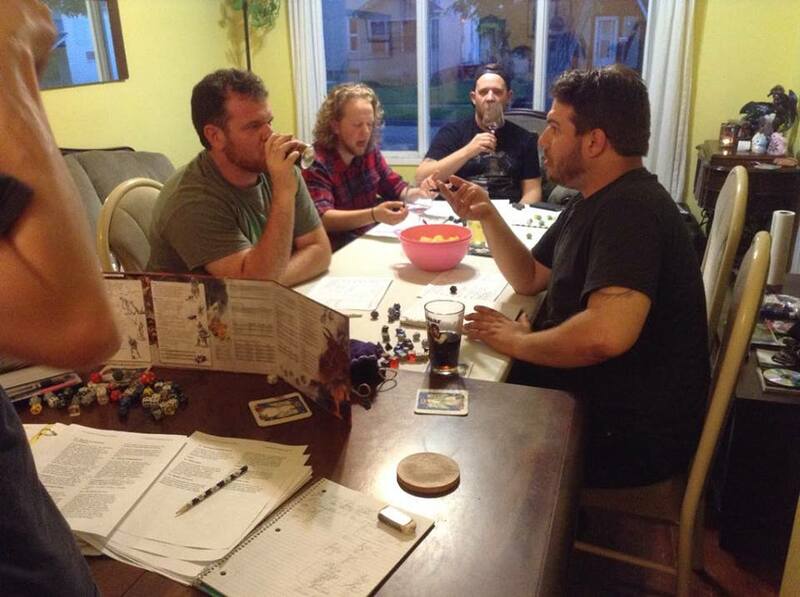 We reconvened for a session the other night. When last we left off the PC's were in the dungeons of Illzathatch, looking for the shields of a atreu. After having just finished killing off a bunch of lizardmen. They stumbled upon a large sack that was wriggling. Inside was "dirk", a very skinny goblin, who pledged to help the PC's provided they gave him some food. North of the last room they were in was a door that they could not get open, so the PC's made their way back south, past the "murder bucket" room. Dirk was created as a bit of a plot device, not so much hand holding, but to help out. For example last time the PC's found a scroll and the thief kept it. Dirk noticed it, and mentioned that someone else in the group may be able to read it. The thief past the scoll to the cleric and she realized very quickly that it was in fact a scoll of cure light wounds. The PC's bypassed the "dragon" room and kept wandering around the dungeon looking for a member of the shields of atreu. They stumbled into a few extremely dangerous trap rooms. In one case, we were just going to go for a smoke break, and the PC's walked into a room. I had them all save vs spell, then took the 3 that were successful outside first. I explained to them what they saw. The other 2 well they almost fell in the hole. It works well when the PC"s are very concenerd with their marching order. And in some cases with some rather funny results. The thief has an extremely low wisdom score, so he doesn't act quite like a thief, and in pretty much every situtaion he just yells out "WHAT HO!" instead of actually attempting to be sneaky. It's a entertaining player to have in the group. The PC's stumble upon a dead adventurer with a shield bearing the mark of "the shields of atreu". The decision is made that the PC's do not need to spend any more time in this "death trap dungeon" as they found what they were looking for. On the way out of the dungeon the PC's finally make it to the dragon room. The door is wizard locked, and they are unable to open it. Previously the PC"s have found out that the command word for the door was breeyark! However they totally forgot about it. Cue a bunch of lizardmen coming down the hall at them! "Hey you! get outta here". PC's draw their weapons, its sword to face time! The goblin Dirk (who is not unsimilar to dobbie) draws his dagger, and yells BREEYARK!!!!!! The PC's run into the room and the door closes behind them. 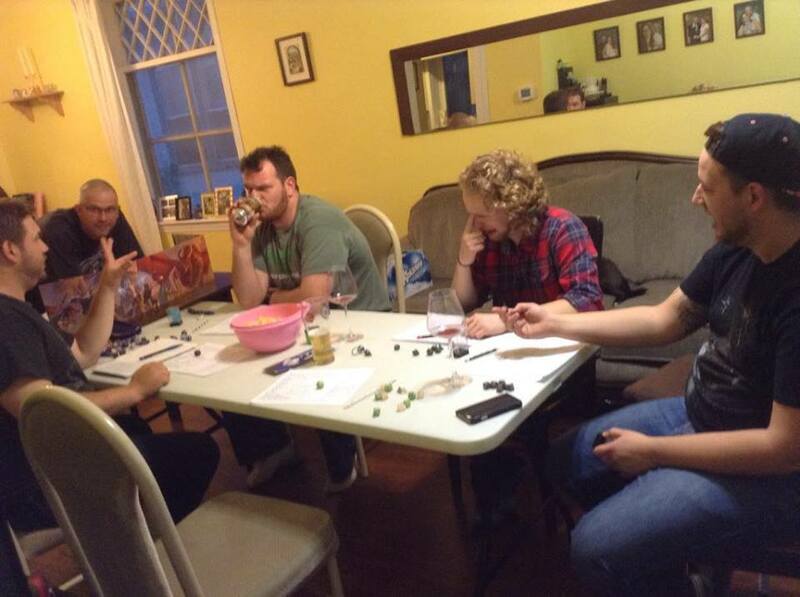 The whole time I"m laughing because, you goofs just ran from lizardmen into a dragon room. Seriously it doesn't get any better than that. The PC's meet the spawn of Illzathatch, Hazathathch, a green young dragon. I've been waiting most of my life to roleplay a dragon, I've never really had the opportunnity to do so. They parlay with the dragon and do not make her mad. She wants to know what has become of her mother, and wants the PC"s to look for her. She will pay them handsomely. The PC's are able to get out of the situation without as much as a scratch. *I had made a reaction roll for the dragon, and it was favourable, so I went with it. The PC's leave and quickly get into a fight with the lizardmen, in a blaze of glory dirk dies. The PC's finallly get the hell out of dodge, and that is where we ended for the night. As a bad DM I did a few whoop's thru out the end of this adventure. I spilled the beans on what had became of the rest of the shields of atreu, as well I let the PC"s know that I will level them up next game. I suppose I can't blame myself to harshly as I had a few drinks. As you can tell by the pictures. I have to remember to be a bit more NEUTRAL as far as the game is concerned. I can't help it though, I root for the PC's. Next up, the PC's make there way back to the balding minotaur. At which point they can go off in search of the tomb of gardag, or something else! 2 things are on my mind currently. 1 having brymassen utterly destroyed by pirates, sending the PC's off to do the aerie of the slave lords series. or 2. Having the PC's meet up with Arnof the trader, who requests them to guard his caravan to Elerd's Keep, cue Morgan's fort campaign with a bit of a twist. Of course they can always check out the deathtrap that is gardag. After I level the PC's I probably won't do it again for awhlie, I am going to continue to keep an eye on XP earned, at this point they are basically half way to level 2. And suprisingly they are quite resiliant! for first level. I don't mind the idea of 2 adventures and a level up though. It will however cost them some moolah! I have to remember to print off the DM screen for Basicfantasy, at least the first two pages, as there is some helpful stuff there. Having the saving throw numbers in front of you makes DMing a bit easier. One of the players wants to multi class, and I'm not sure on the rules for that in basic fantasy. My opinion at the time was "alright, you stop being a warrior and start being a thief" provided you meet the requirements. PS there's the new games table! $58 at Canadian tire, steal of a deal!